The Straight Head Cable HCST is about 5 feet long and has a male end that plugs towards the Power Pack and a female end that matches with the male plugs on the Flash Heads. 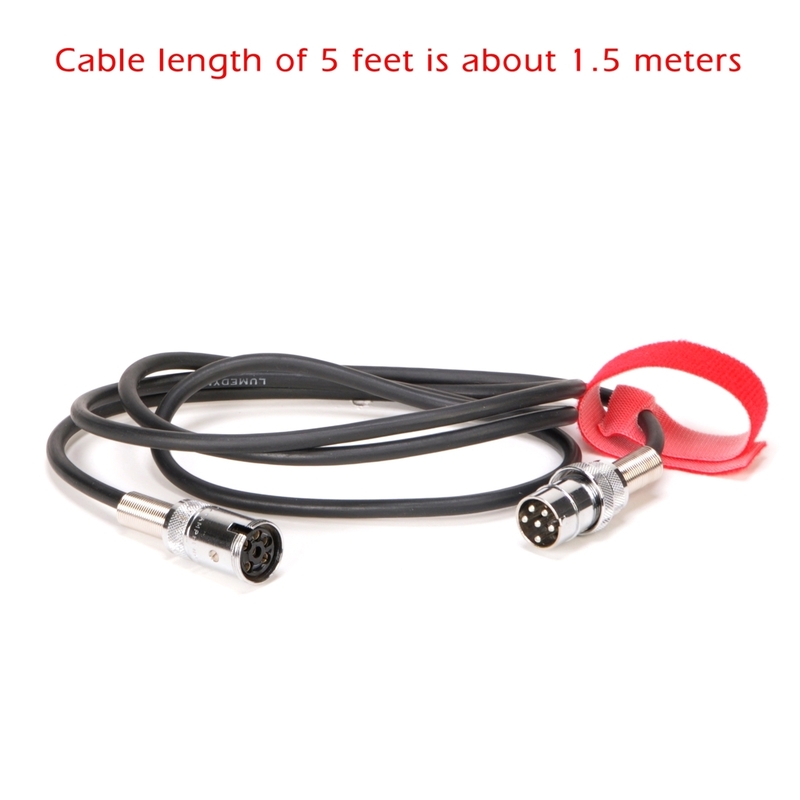 This is a suitable way to extend the Head's built-in cable by an extra five feet or to use a five foot cable directly to the male plug on the Signature Series Heads. If you want to make your Head's cable up to five feet longer but not have additional cable hanging around, this is a good solution for you. Because most of the cost is based on the price of the connectors, the cables are all priced similarly. So, the reason for a short cord is both to have no extra weight or bulk and to have the least possible energy loss due to the long cable length. For example, adding 20 feet of extra cable will result in 1/4 of an f-stop of light loss. Shorter cables have proportionately less loss.